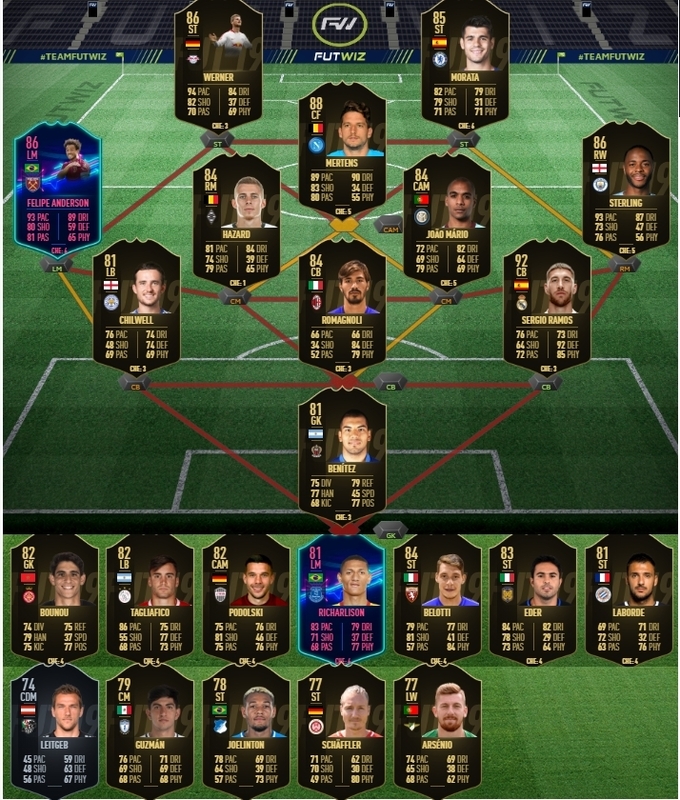 Hey guys, it's Tillian here and it's already TOTW 8. Predictions became really tough lately due to random picks in TOTW, but let's try to do our best, shall we? Overall TOTW looks decent, maybe I've chosen too many strikers, but we'll see. Because no one apart from attackers really performed. Sterling, Mertens should be locked. Romagnioli is also a lock. Joao Mario is a nice card. Others are debatable. We might see 2 OTWs in this TOTW and it'll be both PL wingers. Both scored 2 goals and have like no competition in their spots. Good luck and have fun with your player picks.